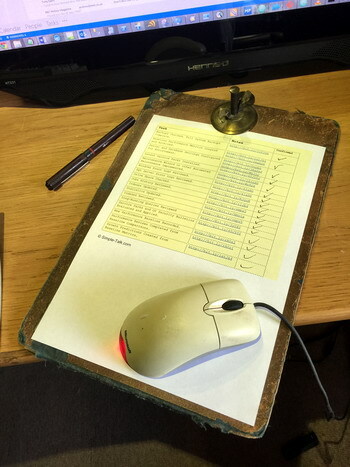 Because so much of the work of the DBA involved doing things in the right order without missing steps out, checklists are a great way of ensuring that the chance of mistakes is minimised. DBAs generally create the sort of checklist style that suits their way of working, while making their work easier for them and as reliable as possible. As DBAs, we pride ourselves on knowing our trade. Unfortunately that pride often leads us to believe that we don’t need to have written instructions for common tasks, and that our memories are infallible. Well, sadly, no matter how often you practice your work you will, sooner or later, forget something and make a mistake, unless you use checklists. I can appreciate that the idea of using a checklist may seem, well, insulting in some way: It’s as if we’re admitting that we’re not good enough to fly by the seat of our pants, and instead need someone holding our hands as we step down the list. But what’s more important, preserving our egos or getting our jobs done correctly and quickly? Professionals of all trades use checklists without fail. Airline pilots and crews famously have thick binders containing detailed steps for almost every situation possible. Astronauts have the same, only likely even thicker. And thanks to the Affordable Care Act, some hospitals are even making their doctors use one (I don’t know about you but the thought of someone cutting me open without using a checklist is doggone near terrifying!). In fact, a Harvard trained physician wrote a New York Times bestseller on the very subject of checklists. The very best DBAs use them, and always have done. So let’s leave our egos on the sidelines, shall we? Ensuring repeatable (and successful) outcomes in daily work. Allowing delegation of work to less experienced resources. Ease the transition to automation of common tasks, by clearly defining steps and logic. Finally, you can, by using checklists, ease the level of concentration we need to apply to routine tasks of IT professionals. Our work can be stressful enough, without constantly having to make micro-decisions about how to proceed in every eventuality while executing a task. Working at this pace can lead to poor decision making, so if we can avoid it, we should. The work of the DBA is ripe with opportunities for checklists. Here are just a few examples, along with suggestions or trigger-questions to help you create your own. There’s a couple of very good reasons why you should use a checklist when installing SQL Server. First, it’s (hopefully) not something that you do very often, so the steps aren’t likely to be fresh in your mind. Second, it’s a complex process, at least if done correctly (in other words, not “Next, next, next, install”). For example, are you going to remember to grant the SQL service account the “Perform Volume Maintenance” right every time (because you really should)? Finally, it’s in your best interest to make sure that all your servers are as standardized and similar as possible. Do you really want to be trying to figure out where that script is that you keep on servers for emergency restores when it’s 2AM and your users in London are calling? What components of SQL do we install (i.e. just the database engine, or do we also install replication, client tools, etc)? Do we install the components in the default location, or is there a specific layout we want to follow (beware the defaults, unless you enjoy running databases off your C: drive)? How are the accounts for running SQL Server and the SQL Server Agent acquired? If we create them ourselves, is there a specific OU they must be created in? Is there a naming convention we need to follow? Do accounts need to be placed into any security groups? Are there any operating system level rights that need to be granted? Do we install named instances or the default? If named, is there a standard for them? What patches or cumulative updates should be applied? Any standard jobs or routines to install, such as a utility database? Any third party tools to install, such as monitoring agents? Restoring a database is easy, right? Right click on the icon in Management Studio, select Restore, next, next, next… Oops! I just tried to restore a database to the “C:” drive and crashed my server when it took up all the space! While a checklist is essential for restoring databases (because again, it’s hopefully not something you have to do often), it’s also true that it’s something that should be routinely practiced and drilled. This allows you to complete the steps as quickly as possible, even while you are still following the checklist to ensure that nothing is missed. Often times, restoring databases is done in a live-fire mode, where critical processes may be offline until the task is complete. But it’s also true that restores are sometimes part of routine processes such as refreshing test environments. Since the procedures may vary from instance to instance based on the situation, you may want to consider multiple, specifically-tailored checklists. Do we take a backup of the tail of the log before trying anything? How do we do that? How do we find the latest backups? Because of course, they are all in the same logical structure since you used a checklist when setting things up, right? Do we need to move the database files to a different location on restore (common when restoring between environments)? What are the relevant Books OnLine entries for the commands you’ll need? Because you don’t want to try and remember them, right? Better yet, point to where there’s a script to do this. Are there any post-restore actions that need to be taken, such as re-granting rights or enabling Service Broker (better yet, do that during the restore itself)? This is one of those tasks that I see done all too often in a haphazard and unplanned manner. So often, in fact, that I wrote an article describing in detail how to apply the rigors of the scientific method to performance tuning in SQL Server. Too often, data isn’t collected and analyzed in a methodical manner, nor are there a list of common options to resolve known problems and how to execute them. Is there any blocking occurring? If so, capture the block chain (including the commands being executed and the locked resources). What sessions are consuming the most resources over a short window of time? What wait types are accumulating on the instance the fastest? If the performance is traceable to one particular statement, capture an actual plan outside of the calling process (an excellent tool to do this is SQL Sentry Plan Explorer. Are statistics up to date? If not, update them (and automate it, pronto!). Are statistics based on very small estimates? Increase the sampling rate and try the query again. Are there any indexes that may help? If yes, evaluate in a test system and plan for deployment if possible. PAGEIOLATCH_XXX – May indicate IO subsystem performance (but may also indicate a poorly performing query, check Perfmon counters for IO susbsystem performance). HADR_SYNC_COMMIT / DBMIRROR_SEND – May indicate bottlenecks in remote sending / hardening of transactions in database mirroring or AlwaysOn. LCK_XXX – indicates resource contention which is casuing blocking. Look at what objects the blocked code is trying to access (Adam Machanic’s sp_whoisactive is excellent for this when used with the “@get_locks” parameter). Are the queries at the head of the blocking chain performing poorly? If so, why? This checklist could go on for quite a while (and probably should be the subject of another article), so I’ll stop there for now. This goes hand in hand with the installation of SQL, in that it’s something you probably don’t have to do very frequently, but when you do it’d better be right. Request two network connections setup (one for the public network, one for the private cluster communication. What OU should the cluster objects be created in? Is there a naming convention used for cluster objects, including the failover cluster virtual name? Has the cluster verification wizard been run to ensure that the cluster is in a supportable configuration? While this one isn’t technical in nature, I’d say it’s no less important than any of the others. If you think about it, there’s probably quite a number of steps required just to ensure that a new DBA obtains all the requisite rights and privileges to operate, let alone things like training or tools. Here’s some of the likely things that need to happen to get someone up and running on your team. 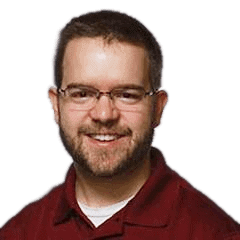 Are there any Active Directory groups that the employee’s domain account should be added to? Are there any pieces of software that need to be installed on their computer, such as monitoring clients, source control (you do keep your database scripts and tools in source control, right? ), or other miscellaneous items? Do any requests need to be sent to other teams? For example, at one of my previous jobs, we had to request that the infrastructure group grant new DBAs access to the VMWare vCenter instance. What documentation should the new employee read or review? Are there any practical exercises or training steps that need to be completed, especially before access is granted? By making the on-boarding process deliberate and explicit, you’ll be able to get new resources up to speed quicker and in a more standardized way. Checklists are an essential part of the daily work and life of a DBA. They ensure that we complete our work consistently and successfully, remove the burden of decision making, and ease the on-boarding of new resources. As a final question then, we might ask, how do we implement them? They allow for you to stop during the process of completing the checklist, then pick up where you left off. They allow for saving or storage of completed checklists for future review (audits anyone?). They allow for dynamic logic, such that subsequent choices are changed based on current selections (i.e. if I choose one path, the resulting options change to match). Ultimately, it’s far more important to start using checklists at all then to have some kind of airtight implementation. So what are you waiting for? Start making your checklists and see an immediate improvement in your work. Good article, the section on Installing SQL Server shows how many difficult decisions need made by new users. Those who want to start learning SQL, especially coming from a non technical background will find these decisions off putting. I have created a tool called SQLLocus that enables users create a databases on a windows computer easily and get started running queries with a minimum of fuss. Would you mind reviewing the tool at [link deprecated] it is a stepping stone on the way to a production server such as SQL Server. I strongly recommend to "automate" checklist instead of relying on reading checklist. I once was handed with a four-pages of checklist to do daily work, and (funny enough) was not allowed to replace these checklist with automation. The reason is "because we have been ALWAYS doing this way". Once you have a process that automates each task in a checklist, you will start to appreciate the life without a checklist. Of course, I am not saying you can 100% automate everything as of now, but with time going on, the automation percentage can be bigger and bigger until 100%. One can always request a change to a checklist. It’s a dynamic thing with a team. An outline of sorts. It doesn’t exclude automation or changing something in the list. It’s about everyone getting on the same general page, knowledge transfer and some type of template to use and discuss. A written list is almost always a great place to start with any process or series of steps. It’s not the endpoint. It’s a beginning point. The book mentioned in the article is called Better by Atul Gawande and I highly recommend listening to the audio book. I’ve got about 100 process lists and spend much of my time updating them. Most database changes I do through generating update scripts. Rarely do I code by hand. I trained a new DBA by giving him a set of my processes for the project I turned over to him. He was able to take it over in very little time. Very nice. That is what I call – impressive and effective knowledge transfer. For things that cannot be automated, I am a great fan of checklists. They avert the frailties of human memory while helping to ensure standardization. It is all too easy to forget a key step, and in some ways, this becomes easier when you are familiar with the process and treat it as routine. With that said, I am an even bigger fan of automating things that can be automated. For your example of restoring databases for instance, depending on your environment it may well be possible to either automate it or at least acquire an extremely friendly UI for it. I for instance did have to restore on a regular basis from production to testing to validate new code on real data. So, I wrote a routine for that. For less common restores we used RedGat’es SQL Backup which was somewhat more user friendly than typing it out in T-SQL.